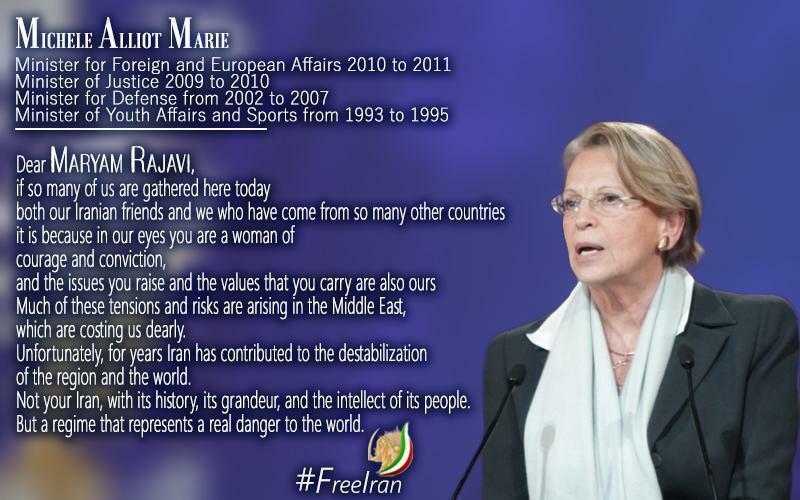 Dear Maryam rajavi , if so many of us are gathered here today doth our Iranian friends and we who have come from so many other countries it is because in our eyes you are a woman of courage and conviction, and the issues you raise and the values that you carry are also ours much of these tensions and risks are arising in the middle east, which are costing us dearly. Unfortunately , for years Iran has contributed to the destabilization of the region and the world . not your Iran, with its history, its grandeur, and the intellect of its people but a regime that represents a real danger to the world.